Our purpose is our people’s purpose. That means that every day, we’re looking for ways to help you find your purpose, and spend your life in its pursuit and maximisation. We call that the #PursuitOfTheUngooglable. We’re less a company than an anarchist commune of highly driven people who have aligned purposes. Together, we’re looking at radically new ways to create economic value together, in four major patterns – consultancy, products, innovation, and doing good. What was a hypothesis three short years ago is now a consultancy on the AFR Fast 100 @ #86, and #9 on the Deloitte Tech Fast 50 Rising Stars, an interactive arts & games studio written about in PC Powerplay featuring an unprecedented 32 games created in 16 months, an innovation program delivering outcomes to The Centre of Independent Studies, the CSIRO and Hello Sunday Morning (the winner of Google’s Impact Challenge) as well as founding, funding and supporting over 4,500 micro-volunteers in six countries to complete nearly 20,000 acts of good via our non-profit, Cause Corps. About 10% of our profits go directly toward our non-profit partners, including One Child and Cause Corps; and our skilled volunteering opportunities are directed toward the latter. As a consultancy, we provide a special rate card accessible only to non profits, helping everything from Indigenous students get connected to scholarships to teaching kids about recycling and ocean plastic via games. a system of radical transparency. We talk about the customers we lose openly and the reasons why we lost them so we can talk about how to improve together; we publish our games (failed or successful) online to demonstrate our learning journey; we have an internally transparent salary grading and rate card, allowing everybody to know what everybody else makes for themselves and for the company. We make all this and more visible all the time to allow our people to focus instead on making things (and each other) better. a place that values drive. On your first day, expect to be handed a blank sheet of paper and asked: what is your purpose in life? You’ll be asked to think about it, and declare it openly and hang it on the office wall, alongside those of every other no mosser. You’ll spend your career with us in its renewal, pursuit, refinement and sometimes rejection of this declared purpose as you discover something else. Along the way, you’ll gain mastery of your craft (if you don’t already have it); perhaps a mastery of a (few) new crafts; and definitely mastery of teaching others what you know. An ecosystem of wholeness. We like you for all of you; not just the ‘work face’ you’ve been putting on. We like that you were a childhood piano prodigy, or had a previous career in construction. We respect that you dedicate your spare time to writing science fiction, or what you really care about is surfing with your children. We admire that your purpose is to take people off the streets, to create safe environments for people to grow and excel, or to challenge the notion that work-life balance isn’t just ‘life balance’. There’s room for diversity of thought at no moss, and we’re privileged to continually better our ecosystem toward that end. Getting stuff done. A rigorous process that uplifts people and enables them to be the rolling stone that attains a certain polish. You want to add to these organisational learnings and make us better. You enjoy putting the extra (smartly chosen) mile in to not work hard, but work effectively. You like conversations where we celebrate failing – personal, team-based, organisational – and subsequent learning. Other people who are purpose driven. People who value psychological safety. A place where people are good at listening and incredible at taking appropriate action. To be free to challenge the status quo and each other to greater things. An ecosystem of people who are outside their comfort zone nearly all the time, working mostly in their learning zone, occasionally edging into their terror zone. People who don’t need us; but are connected to our story and are inspired to be part of a community. People who want to give back to ecosystems that are finding new, more human ways of working. People who do what they say and say what they’ll do. Outcome driven people who have a history of trying – resulting in both successes and learnings from their failures. People who love any one of strategic consulting, products and computer gaming, and technological innovation. We're open to people who have never formally done this role but aspire to, as well as people who have experience in this role – we’ll grade and craft the role for you assuming a cultural growth alignment (not cultural “fit”) with us. If you’re rather junior for role, consider the scrum master role as a growth path into this role. We have a dozen agile coaches and scrum masters in our agility practice, in teams spread throughout the major ASX20 companies. We’ve got opportunities to coach and train all over Asia Pacific on short engagements thank to our strategic partnerships with one of the major management consultancies. We have opportunities to lead as strategic partners one of the biggest outsource contract companies in the world. You’ll work with us on using and improving our have proprietary, in-house agility diagnostic tool, helping us scale our impact on huge programs of work. Nearly all of our engagements feature use of our agility training programs built on top of our gaming offerings that score a world-class Net Promoter Score of 75+. You’ll be coached in turn by a Director of Agility that serves teams of coaches and scrum masters to create alignment toward real, empirical change. You’ll have a history of leading at-scale delivery teams on projects of many scales. We can expect that you can self-manage with a consulting client plus mentor a small team of two or three scrum masters. This generally means that you’ll be working at people scales of 20 - 200, responsible for their ways of working in a holistic manner. You’ll have run scrum and/or kanban type approaches for scrum's sake but to measurable, empirical outcomes. In your day-to-day, your actions help to keep team promises to clients. Your ‘in house’ effort actively contributes to the culture, knowledge and organisational norms. The client will expect that you are a highly skilled subject-matter expert, capable of coaching and training towards better practices in agile delivery teams. You’ll have delivered prior engagements with client success, and our goal is to build you an increasingly impressive resume of these happy clients and successful projects - and occasional inevitable learn-fast opportunities along the way. Participation in marketing events, contribution to marketing material, website content and other collateral. Development of internal No Moss IP. Sharing of knowledge and experience with team members. Acquisition of new and extension of existing projects within No Moss delivery capabilities. 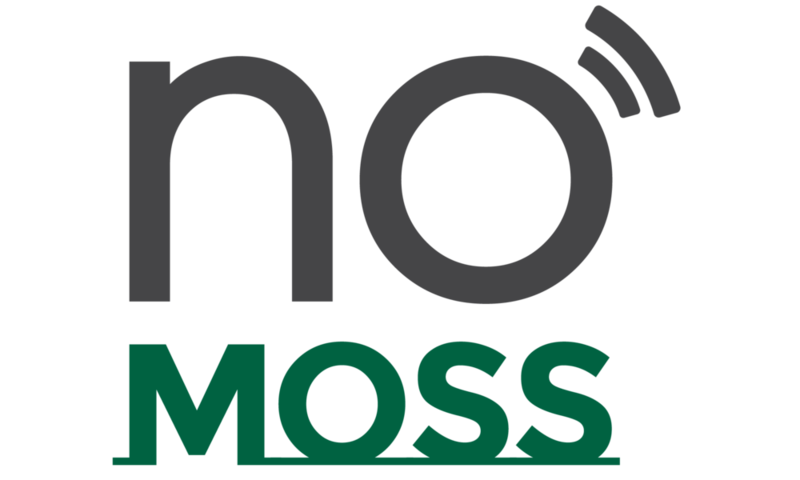 Project support to other No Moss consultants during projects and pre-sales activities. General administration (timely submissions of timesheets and expenses, active use of CRM system and others). Our purpose is our people’s purpose. That means that every day, we’re looking for ways to help you find your purpose, and spend your life in its pursuit and maximisation. We call that the **#PursuitOfTheUngooglable**. We’re less a company than an anarchist commune of highly driven people who have aligned purposes. Together, we’re looking at radically new ways to create economic value together, in four major patterns – consultancy, products, innovation, and doing good. What was a hypothesis three short years ago is now a consultancy on the [AFR Fast 100 @ #86](https://www.afr.com/leadership/entrepreneur/financial-review-fast-100-2018-the-full-list-20181029-h179hx), and [#9 on the Deloitte Tech Fast 50 Rising Stars](https://www2.deloitte.com/content/dam/Deloitte/au/Documents/technology-media-telecommunications/deloitte-au-tmt-tech-fast-50-australia-2018-winners-report-151118.pdf), an interactive arts &amp; games studio written about in PC Powerplay featuring an [unprecedented 32 games created in 16 months](https://nomoss.co/games/), [an innovation program](https://nomoss.co/makers) delivering outcomes to The Centre of Independent Studies, the CSIRO and Hello Sunday Morning (the winner of Google’s Impact Challenge) as well as founding, funding and supporting over 4,500 micro-volunteers in six countries to complete nearly 20,000 acts of good via our non-profit, Cause Corps. About 10% of our profits go directly toward our non-profit partners, including [One Child](https://www.gofundme.com/mobile-computer-classes-cambodia) and [Cause Corps](https://www.gofundme.com/mobile-computer-classes-cambodia); and our skilled volunteering opportunities are directed toward the latter. 1. **a system of radical transparency**. We talk about the customers we lose openly and the reasons why we lost them so we can talk about how to improve together; we publish our games (failed or successful) online to demonstrate our learning journey; we have an internally transparent salary grading and rate card, allowing everybody to know what everybody else makes for themselves and for the company. We make all this and more visible all the time to allow our people to focus instead on making things (and each other) better. 2. **a place that values drive. ** On your first day, expect to be handed a blank sheet of paper and asked: what is your purpose in life? You’ll be asked to think about it, and declare it openly and hang it on the office wall, alongside those of every other no mosser. You’ll spend your career with us in its renewal, pursuit, refinement and sometimes rejection of this declared purpose as you discover something else. Along the way, you’ll gain mastery of your craft (if you don’t already have it); perhaps a mastery of a (few) new crafts; and definitely mastery of teaching others what you know. 3. **An ecosystem of wholeness. ** We like you for all of you; not just the ‘work face’ you’ve been putting on. We like that you were a childhood piano prodigy, or had a previous career in construction. We respect that you dedicate your spare time to writing science fiction, or what you really care about is surfing with your children. We admire that your purpose is to take people off the streets, to create safe environments for people to grow and excel, or to challenge the notion that work-life balance isn’t just ‘life balance’. There’s room for **diversity of thought** at no moss, and we’re privileged to continually better our ecosystem toward that end. Getting stuff done. A rigorous process that uplifts people and enables them to be the *rolling stone that attains a certain polish. * You want to add to these organisational learnings and make us better. You enjoy putting the extra (smartly chosen) mile in to not work hard, but work effectively. You like conversations where we celebrate failing – personal, team-based, organisational – and subsequent learning. We&#39;re open to people who have never formally done this role but aspire to, as well as people who have experience in this role – we’ll grade and craft the role for you assuming a cultural growth alignment (not cultural “fit”) with us. If you’re rather junior for role, consider the scrum master role as a growth path into this role. You’ll have a history of leading at-scale delivery teams on projects of many scales. We can expect that you can self-manage with a consulting client plus mentor a small team of two or three scrum masters. This generally means that you’ll be working at people scales of 20 - 200, responsible for their ways of working in a holistic manner. You’ll have run scrum and/or kanban type approaches for scrum&#39;s sake but to measurable, empirical outcomes. In your day-to-day, your actions help to keep team promises to clients. Your ‘in house’ effort actively contributes to the culture, knowledge and organisational norms. The client will expect that you are a highly skilled subject-matter expert, capable of coaching and training towards better practices in agile delivery teams. You’ll have delivered prior engagements with client success, and our goal is to build you an increasingly impressive resume of these happy clients and successful projects - and occasional inevitable learn-fast opportunities along the way. 3. Participation in marketing events, contribution to marketing material, website content and other collateral. 4. Development of internal No Moss IP. 5. Sharing of knowledge and experience with team members. 6. Acquisition of new and extension of existing projects within No Moss delivery capabilities. 7. Project support to other No Moss consultants during projects and pre-sales activities. 8. General administration (timely submissions of timesheets and expenses, active use of CRM system and others).